This particular ad is of the “Indiana Jones” variety… it spins a yarn of a high-risk adventure, deep in the forbidden jungle, to discover a massive profit opportunity. How can one resist? Well, we’ll try. And the best way to resist a sales pitch, of course, is to understand it. This spiel is from Ray Blanco for his Penny Pot Profits newsletter ($1,999/year, nonrefundable), and he’s hinting at “The 1 Stock for a Life-Changing Marijuana Payday” … so what is it? But yes, we’ll throw the clues into the Thinkolator for you and get some answers percolating… so what are those clues? “1. This company will finally finish construction on their newest processing facility, allowing them the ability to fully harvest and process 5,530,000 kilograms of medicinal grade marijuana. “2. As soon as they do, they’ll have everything in place to begin commercial sales of their medicinal oil extracts, sending billions rushing onto this company’s balance sheet — a rate never before seen in history for a company this small. As soon as this happens, its share price could explode faster than ever before seen in modern history. ““When the Armed Guards Confronted Me… I Knew I Was Just Moments Away From the Biggest Stock Discovery of My Career…. What else are we told? And the insiders are somehow compelling people, and have been “acquiring” shares (note, that’s often different from buying shares — insider buying is a bullish signal, insiders giving themselves shares… not so much bullish). “Over the Past Few Weeks, Company Insiders Have Acquired Over 1,815,000 Shares…. “One is a published author and international lecturer. From being a former adviser to the United Nations to helping establish the prestigious World Health Professions Alliance, he‘s quietly becoming one of the most influential people of the 21st century…. “Another has spent the past 27 years building some of the world’s largest companies. Most recently, he helped build a business to over 17,000 employees…. “This company has done what John D. Rockefeller and Standard Oil did in 1870. “They’ve been able to cut their costs to about 5 cents a gram — a number so low they were almost embarrassed to share it with me. “On top of that — they created some of the highest quality products on the market. He also says that the “average grower” pays more than $1 per gram of marijuana, so this is a 95% lower cost. That seems like a number you’d want to double-check, I don’t know what the average cost of marijuana production might be. “Billions would start flowing into this tiny company! Sure, I suppose it’s possible that a little startup that just built its first facility will take over 10% of the global cannabis industry someday… but it ain’t a “conservative” guess. That would indeed be dramatically more efficient production than the big Canadian growers — if the stats in this article are correct (I didn’t check), then the largest Canadian growers are on pace, as a group, to have more than 10 million square feet of production space over the next year or two and produce about three million kilograms of marijuana flower per year. Heck, the Emerald Health/Village Farms partnership has the potential to put almost five million square feet of greenhouse space into marijuana production itself if they wish (they’ve only committed to less than a quarter of that so far, but have the vegetable greenhouse space and extra land they could use)… though at current production estimates that would apparently only provide ~400,000 kg/year. So if Blanco’s calculations make any sense, then a greenhouse operation near the equator is dramatically more efficient than a greenhouse in Canada. I’ll buy that, but don’t know if it’s anywhere near as dramatic as he says — it seems like 1 million square feet of greenhouse space would be expected to generate something in the range of 100-150,000 kilograms of marijuana flower a year in Canada, could that same space really generate 50X as much in Colombia? Maybe, I guess, I’m no horticulturist, but there’s room for some skepticism. But anyway, now that we start with a little skepticism… what’s the company? This is the Canadian/Colombian marijuana producer PharmaCielo (PCLO on the Canadian Venture exchange, PHCEF OTC in the US). They went public through a reverse merger with a Canadian blank check company that consummated in January, though also raised money in a private placement last year that was widely covered in the marijuana investment press. And it’s a fairly big company market cap around C$900 million, with the primary business being a Colombian licensed marijuana grower. There is in fact one sell-side analyst covering the shares, according to the company, from GMP Securities — they have similarly positive things to say about the company in terms of massively globe-leading production yields and potential for low-cost CBD oil production for export…. though the analyst targets C$12 a share (current price is C$9.70), which is, of course, a far more conservative stance than Blanco’s “your small investment will turn into millions next week” pitch. And, one must note for fairness’ sake, GMP Securities is not a disinterested party — they were one of the agents for the private placement last year and presumably enjoy the investment banking business from PharmaCielo. PharmaCielo aslo has an investor presentation posted here if you’d like to see their plans and strategy (or you can see the pre-listing presentation here from November). 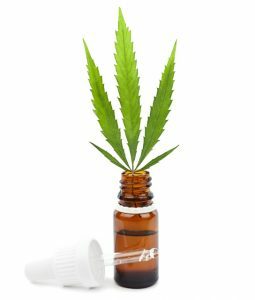 They do own a licensed medical marijuana business in Colombia, with retail customers, but their goal seems to be to build a global supplier of cannabis oils for consumer packaged goods. They do own about 12 hectares of greenhouse space, which they say gives them capacity for about half a million kilograms of flowers per year — which is much more rational than Blanco’s 5+ million… but you can see where he gets that number, that comes from the 10X larger space that’s available to PharmaCielo from contract growers (most of whom are presumably currently growing roses and chrysanthemums, one of Colombia’s largest exports today is cut flowers). They’re building up their industrial capacity to turn that marijuana into cannabis oils, which seems like it’s the real focus of the company. And, yes, they would like to become a major exporter of cannabis oils — they do have a couple joint ventures now, with partners in Mexico and Italy, though it sounds like that’s still in a pretty early stage. Presumably they’re talking to large customers about becoming a core ingredient supplier, but it’s hard to guess where they are in that process. They are not the only company growing marijuana legally in Colombia, nor are they going to be the first to export (that was Clever Leaves, last month), but they may have other competitive advantages that I don’t know about. 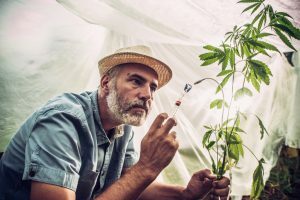 There has been substantial interest among the big Canadian players in expanding to South America, too, so both Canopy and Aphria have invested in Colombian companies in the past year or so, and it’s unclear to what extent they might be interested in growing for eventual export to Canada or Europe versus just establishing a bigger global business for non-Canadian consumers. So that’s where we are, dear friends — a licensed Colombian marijuana producer, with a fair chunk of cash that they raised with their Canadian listing in January that they’ve apparently been using to expand capacity and get their oil processing plant developed. Most of the commentary from them that I’ve seen envisions meaningful export revenue beginning in 2020. And no, I don’t know of any magical event that we should foresee coming on March 29 that will turn this C$900 million company into a barnburner — their quarter ends at the end of February, I think, so it could be that they’ll have a quarterly update at some point in the next few weeks… but March 29 would be a bit early for that (their MD&A for the year ended November 30 is here if you want to see the previous SEDAR filing… the Filing Statement with the IPO/merger details is here). The only thing that pops up as meaningful in their filings is that March 29 is the date by which they’ll have finalized their agreement and budget for their Italian joint venture… which might get some attention, I suppose, and may become a meaningful business for exporting CBD oils to Italy, but I doubt it will make an overnight difference to the stock’s valuation. My general qualm about marijuana growing companies is that I have no idea what the market will look like in a couple years — agricultural companies and raw-ingredient suppliers who lack a proprietary product are subject to market forces, so if the massive ramp-up in investment in marijuana production leads to oversupply, or if legal marijuana ends up being price-controlled in an effort to squash the black market, prices may fall substantially. Certainly we’ve seen overproduction and weak prices in some US states, though it’s way to early to have any real understanding of what a mature market might look like — that’s just a risk factor that concerns me… in the case of PharmaCielo, I can see the possibility for them growing into ingredient-supply relationships with major packaged goods or medicinal products companies, but have no idea what kind of pricing that would entail, what regulatory restrictions there might be on international trade in psychoactive cannabis products, or if they’d be a price taker or a price maker. So for me, lots more questions than answers — but that’s generally always the case when I look at a prospective marijuana stock, which is part of the reason why I’ve managed to avoid making millions of dollars on the current crop of pot favorites… so don’t listen to boring old me when it comes to pot stocks, but do your own research and make your own conclusions. All I can do is tell you is that PharmaCielo is the stock that Blanco is pitching, encourage you to count to ten before subscribing to a nonrefundable newsletter just to get a “secret” stock tip, and suggest you make your own call… it is, after all, your money. PharmaCielo has been in the press for a couple years, the idea of Colombia becoming a legal drug exporter 25 years after Pablo Escobar’s death is too compelling a story for the media to ignore (my favorite Escobar story is that his estate was turned into a theme park, and that some of his Hippos have become a wild invasive species in Colombia… but I’m kind of odd), and it has also come up in Stock Gumshoe discussions a few times over the years… so if you’ve been following the story or chewing on those numbers, please do jump in and share your thoughts with a comment below. Thanks for reading! P.S. We do always want to know about what readers think of the newsletters they’ve subscribed to — if you’ve tried Blanco’s Penny Pot Profits, please click here to share your experience with your fellow investors. Thanks again! 40 Comments on "What’s being hinted at as the “1 Stock for a Life-Changing Marijuana Payday?”"
The market has gone quickly beyond growers with oils, edibles etc being the money makers. This stock is new so I don’t have any clues either. KHRNF is in Columbia – a penny stock with Mexico’s ex-Prez Vincente Fox on their board. They ahve reported being able to grow flower for .05/ gram. Much better play for me???? I believe the Thinklolator is spot on with PHCEF PharmaCielo. However, I agree with @coolsoupy KHRNF Khiron in Columbia if you want to play the Central America/Mexico/South America market. I bought a little bit Khiron $3.5k a year ago, and am up 165%…..Ted Ohashi in his free weekly enewsletter Let’sTokeBusiness believes Khiron is still a good value buy with future gains potential. Ted also has a Seeking Alpha article on Khiron. As a followup does he count on subscribers not being able to read financials? Sorry, I live near the Columbia river, between the U.S. states of Oregon and Washington – so that spelling came naturally to me. Apologies. No, that’s usually been Shopify — covered here. Most of Blanco’s recs from last year are down a lot, OSTK -50%,BTX -44%,ARFXF -48%, ESPR-7% dont ever pay for such lousy advice, I dont really think he bothers. about giving good recs other than receiving high fees ,its a very easy way to make lots of money for nothing as long as they can lure in people with their insane claims and promises. Well Village Farms certainly paid off for me as it has tripled since I bought shares a few months back, who knows? Thanks Travis! As they say, even a broken clock is right twice a day… But just think how much of the time it is wrong! If this company can produce cannabinol (medical marijuana), I believe it will become a major medication that will be used by seniors, since It has so many side benefits. With that in mind, PCLOV is a company that bears watching and, for speculators, purchasing before it breaks out I would feel more comfortable if the company was based in the U.S. or Canada, but, no risk, no reward! PS – how did you get #Khiron Life Sciences (KHRN.V KHRNF) in the ‘Add a Topic’ field – I tried and did not work, even copied from your post and pasted to ‘Add a Topic’ still did no work. The topic entries should recognize US ticker symbols if it’s a stock in our database, though the system has been glitchy lately. Ray Blanco is telling me that the marijuana stocks for the first round are going to be (CARA), ( XXII), (TRTC) and a bonus where I think is not going anywhere (MJNA). Anyone else going by this? Is the first round April 4th? April Fools day more appropriate? Eventually the major American/Canadian Entrepreneurs will go South and allow major markets in South American to grow the operation plants. Operation costs and full overhead are as much as 50% higher in Canada & USA. Growers specifically will realize: less headaches in labor, cultivating, space and overall regulatory overhead from their respective Countries. Share price is meaningless at this point (both of these companies will issue lots more shares before they’re through), but Blueberries is clearly pursuing pretty much the same business plan with different assets. Pharmacielo is a bit better match for the specific hints Blanco dropped, but they are quite similar companies — just PharmaCielo looks a little further along on the oil extraction front. Hello Capesurvuvor. I am a NICI subscriber myself, but also have motley Fool’s marijuana Mavericks. It looks like you are one willing to do diligent research and pay for additional advice like myself. I’m wondering I’d house would like to trade stock advice and give each other insight? The whole two heads are better than one scenario. If so, my email is befree8733@gmail.com. if you are curious do your due diligence on SRUTF, looking good to me, but what do I know! Any thoughts on Neptune Wellness Solutions? equity research from GMP securities. How long did it take you to think to use the “joint” venture in the marijuana stock write-up? I got into Pharmacielo @ $1.00. I regret not doing it at $0.50 when I had the opportunity. I feel really good about it. When were they ever $1.00?? From what I can see, they have never been below $4.75. Through their private equity offering. FYI Pharma Cielo is a top rated stock at NICI. Hi there, I’m a member too of NICI, but can’t afford the $800 version. Could you let us know if Cardiol and Khiron are also rated a 5? I’m pretty down over the past year and am looking for ways to recoup. No luck, AK, one not rated and one not even listed. Marijuana-focused higher-price newsletter, stated aim is "to weed through the emerging marijuana industry to find the best, most potentially lucrative penny pot plays on the market."